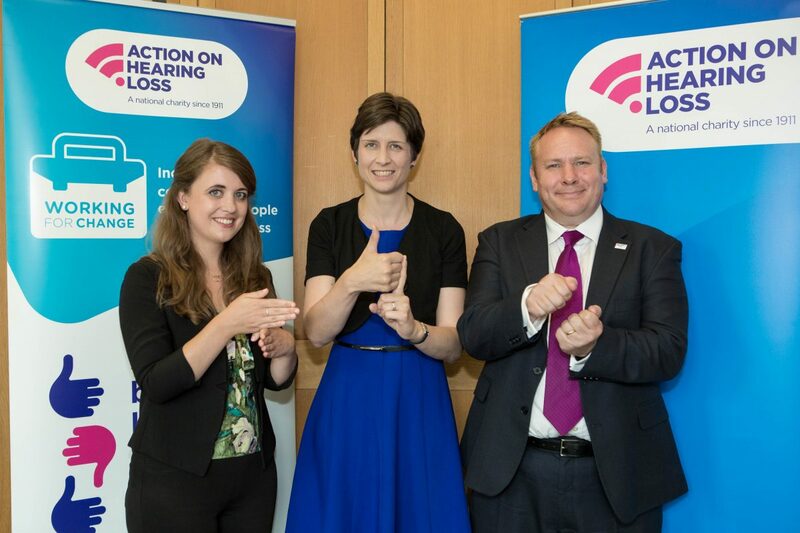 Alison Thewliss MP is supporting Action on Hearing Loss’s campaigning to break down the barriers facing people who are deaf or have a hearing loss trying to secure or stay in employment. Following a presentation of its Working for change: Improving attitudes to hearing loss in the workplace report to MPs, Ms Thewliss is backing the charity’s call on businesses and the UK Government to work closer together to help people who are deaf or hard of hearing to find and stay in employment. Ms Thewliss also found out about the positive impacts of Action on Hearing Loss Scotland’s specialist employability service, Moving On, which is available to support young people in Glasgow Central who are Deaf or have hearing loss into employment, and advises employers how to meet their responsibilities under the Equality Act 2010 to be accessible and make ‘reasonable adjustments’ for jobseekers and employees with hearing loss. “It’s been great to find out more about Action on Hearing Loss’s specialist support for people who are Deaf or have hearing loss in to employment as well as the charity’s work with businesses to bust myths and eradicate concerns about employing deaf or hard of hearing staff. “An increasing number of people of working age have hearing loss so it is vitally important that employers across Glasgow Central are aware of the support that it is available and the small changes they can make to break down barriers facing talented jobseekers or staff who are deaf or hard of hearing.